New Orleans own chef Derek Robinson is putting smiles on patrons faces plate by plate with his restaurant MadChef at 59th. Known for his speciality seasoning blends, this Mad Chef has become a staple in the New Orleans food community. People from miles around travel to the “Big Easy” for food and fun. He is showing tourists as well as locals why his seafood and seasoning are authentic to New Orleans culture. We caught up with him for a interview on his re-grand opening and how we got his start as a chef. How did cooking become such a passion for you? How did you start? So I grew up watching my mother, Chef Karen Robinson, who is a pastry chef. I didn’t know I wanted to be a chef until my first semester in college. I attended the same college as my mother. The chef that she studied under saw me going down the wrong path and pulled me to the side for me to come sit in her class. After that sit in, I immediately changed my major from general studies to culinary and I haven’t looked back. You recently did a re-grand opening, can you explain how that came about? The re-grand opening came about from me just recently taking over the restaurant. Originally Mad Chef at 59th was a partnership between me and the previous owners of the 59th. After they saw how great the restaurant was doing and how it did beyond what we expected they decided to allow me to take over the restaurant fully. After taking over fully I did a lot of renovations such as: drop ceilings, new ac units, and even a mural that featured 14 of the main people that contributed to my success. I wanted a day that we focused on our continuous success, Thanked our supporters and to reintroduce the restaurant to the city. And I must say with the help of my team my re grand opening did just that. What advice would you give to someone looking to achieve that New Orleans flavor? My only piece of advice would be to include Chef Gone Mad Seasoning Blends. Our seasoning blends would definitely give you that authentic Nola flavor. Especially our top seller, Cajun Nola. How has becoming a restaurant owner changed your life? Becoming a Restaurant owner changed my life because it was something that I always had an negative outlook on. Any interview I did before the restaurant you would hear me say that I would never own a restaurant. But I was blessed to be presented a wonderful opportunity from my former business partner that would’ve been ridiculous for me turn down. 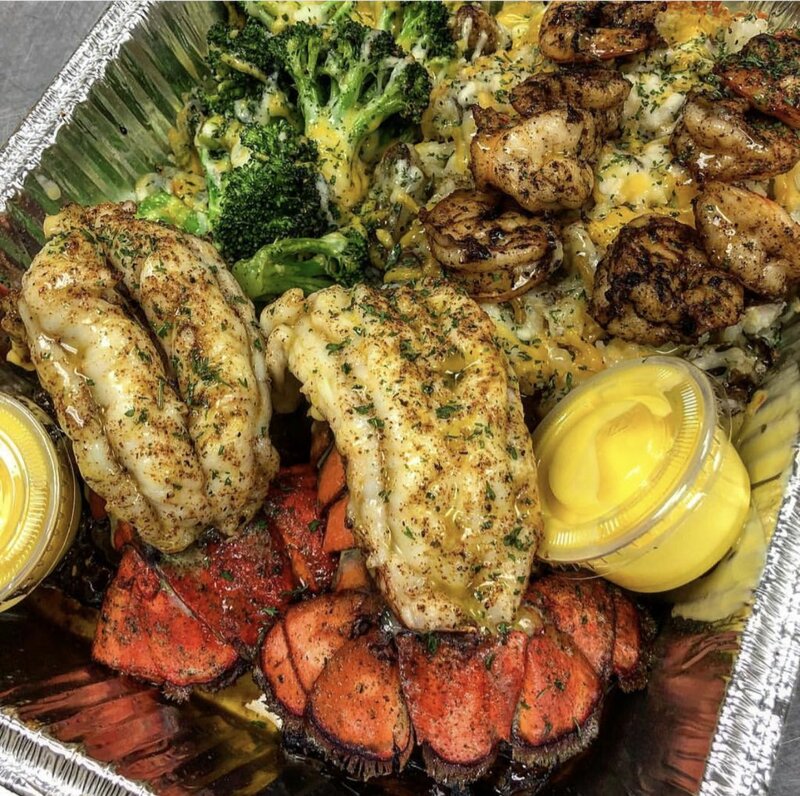 Now that I am a restaurant owner it opened up another source of income for Mad Chef LLC and it put me in a position to be able to not only increase my wealth but put my team in a position to increase theirs as well. You can follow Derek Robinson on Instagram at @chefgonemad. 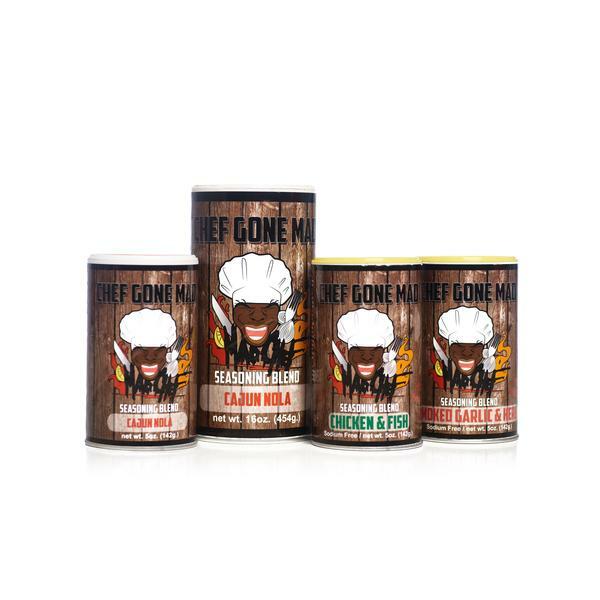 His seasonings blends can be purchased online at www.chefgonemad.com or at any local supermarket in the Louisiana area.